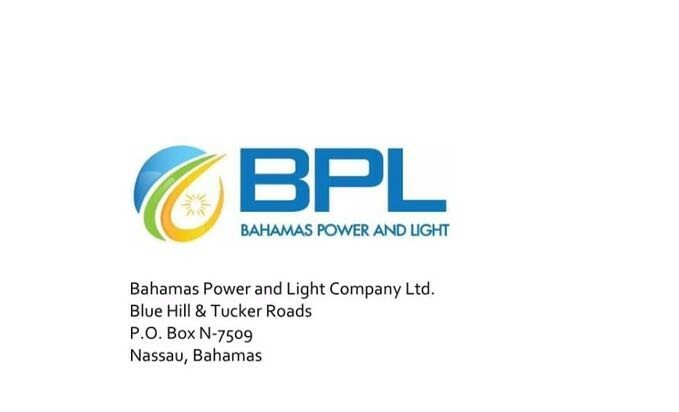 BPL Management in Eleuthera has confirmed that the announced 12pm power shut down on Friday, September 8th, for Eleuthera was in accordance with the Met. Office forecast for deteriorating conditions across the island which could impact power lines. Robert Hall, BPL Manager in Eleuthera, explained that residents on island should be prepared to be without power anytime after the announced 12pm shut down time. At 1:30 pm on Friday, Mr. Hall, said that BPL was continuing to monitor weather conditions on Eleuthera, and would only cut power to minimize damage, if those conditions deteriorated to the point of impacting power lines. However. if prior to the abovementioned times. conditions deteriorate to the point that it is impacting power lines. a controlled shut down will be executed in order to minimize damage. With respect to New Providence. our intention is to keep our entire system operational as long as possible. In the event that heavy winds and rain impact our overhead lines then we may have to conduct isolated shutdowns in those areas to protect our system. If you need to report an electricity supply concern, please use our emergency numbers 302-1800-302-1820 or 323-5561. Customers are also encouraged to pay attention to BPL’s Focebook Page as well as local radio and television programming as we will continue to provide periodic updates with respect to the impact of Hurricane Irma.